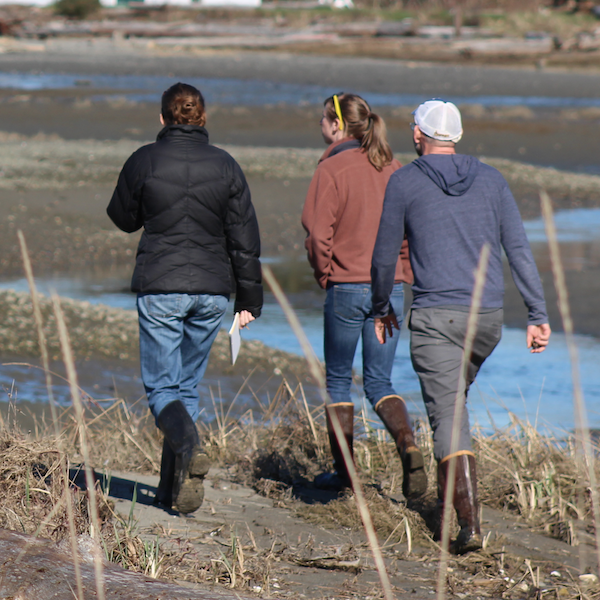 Washington’s diverse and productive salt marshes and pocket estuaries, already threatened by shoreline development and pollution, now face a new invader. The European green crab (Carcinus maenas), considered one of the world’s worst invasive species, recently entered inland waters of Washington. If a population establishes, it could threaten native habitats and species. 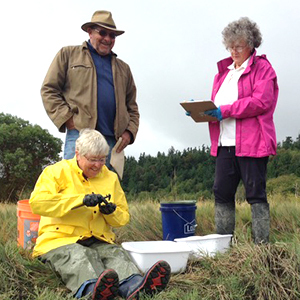 WSG, the Washington Department of Fish & Wildlife, and partners have teamed up to lead a volunteer-based early detection and monitoring program to improve our understanding of native salt marsh and pocket estuary organisms, and how they could be affected by green crabs. This project has been funded wholly or in part by the United States Environmental Protection Agency under assistance agreement PC-00J90701 through the Washington Department of Fish and Wildlife. The contents of this document do not necessarily reflect the views and policies of the Environmental Protection Agency or the Washington Department of Fish and Wildlife, nor does mention of trade names or commercial products constitute endorsement or recommendation for use.